If you are looking for some of the best golf in Orlando, FL. then the best kept secret is Windermere Country Club. Revel in the beauty surrounding the rolling fairways of the 18-hole championship golf course. 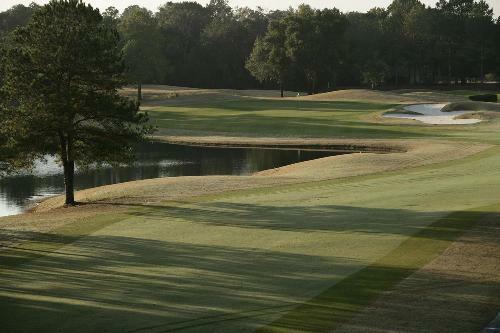 The Ward Northrup designed 18-hole championship course is aimed at fun and playability, regardless of your handicap. Stretching to 6,760 yards from the back tees, the undulating fairways and challenging greens offer even the most experienced player a solid test. With 13 holes bordering lakes and 63 bunkers strategically placed throughout the course, combined with the unparalleled beauty of pine and oak tree lined fairways and greens, keeping your mind on golf can be challenging. Please join us for a day of friendly golf competition to benefit the TIAFoundation and build relationships on Wednesday, April 15th. Registration is $250 and club rental is $37! Yes, we will be selling mulligans!